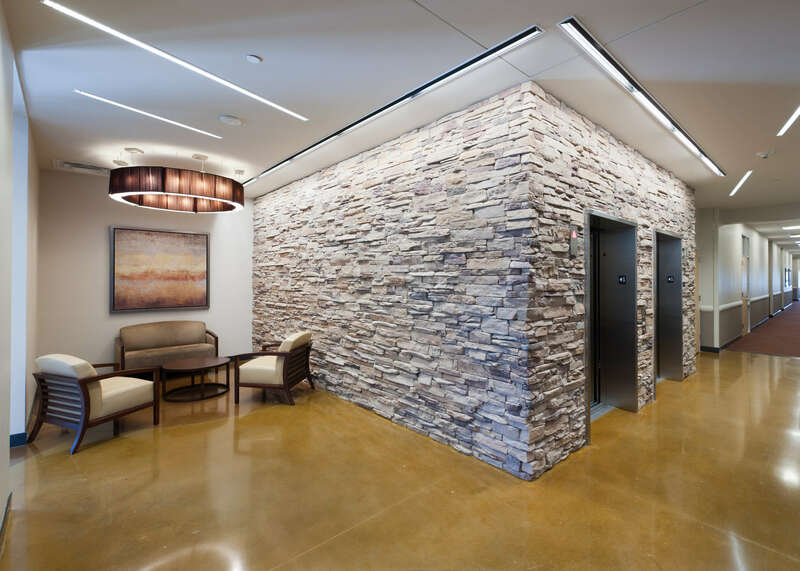 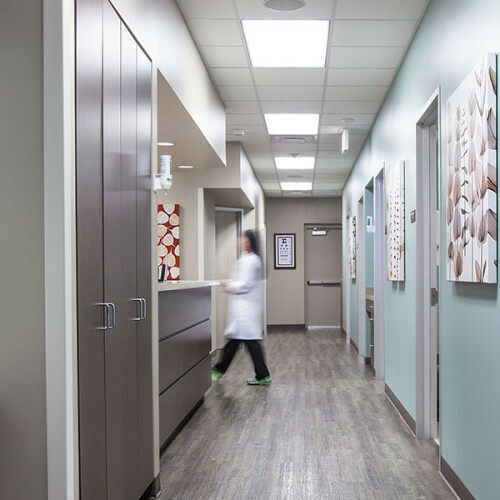 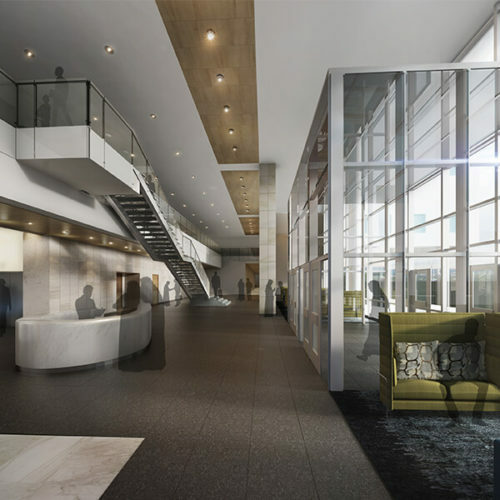 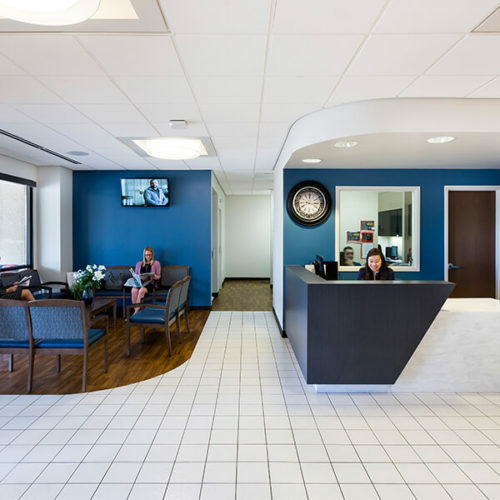 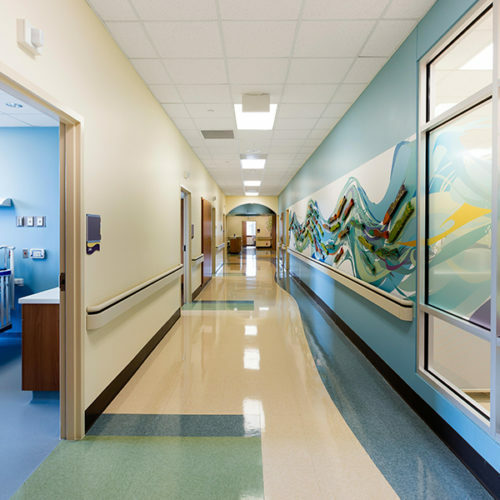 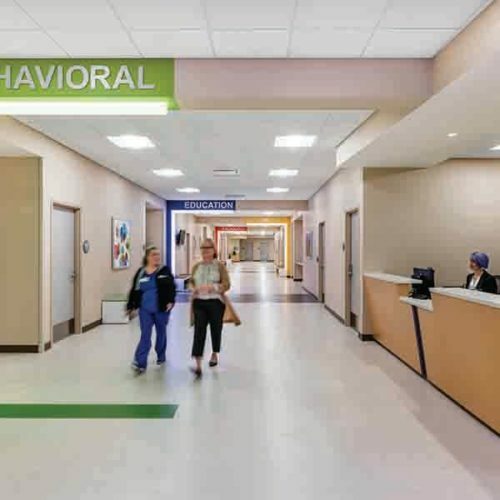 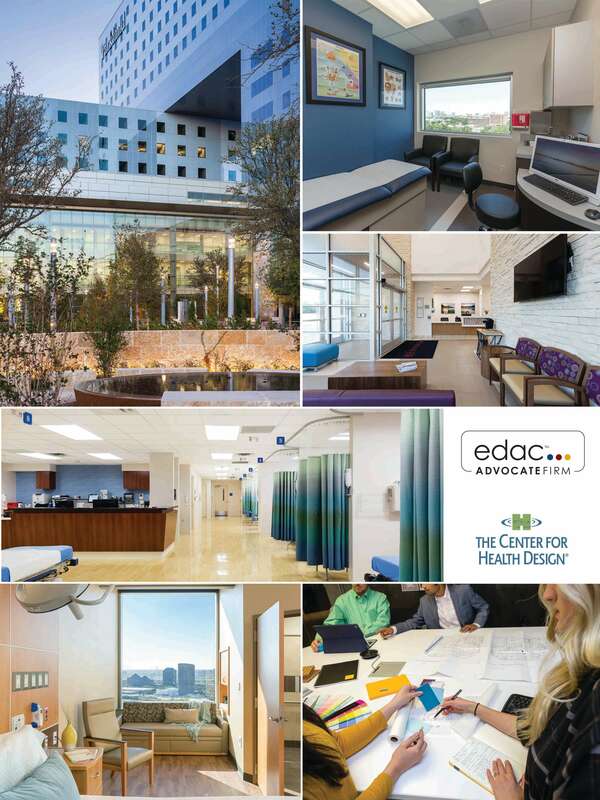 Corgan created an efficient, high quality design that accommodates a large internal medicine practice as well as several other specialists’ practices. 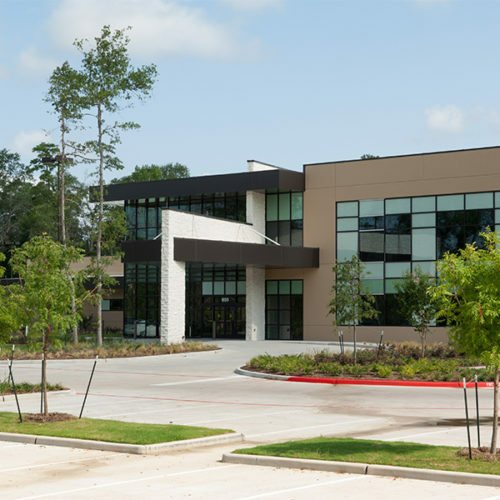 This modern three-story medical office building featured shared services, a collaborative care environment and a modern design. 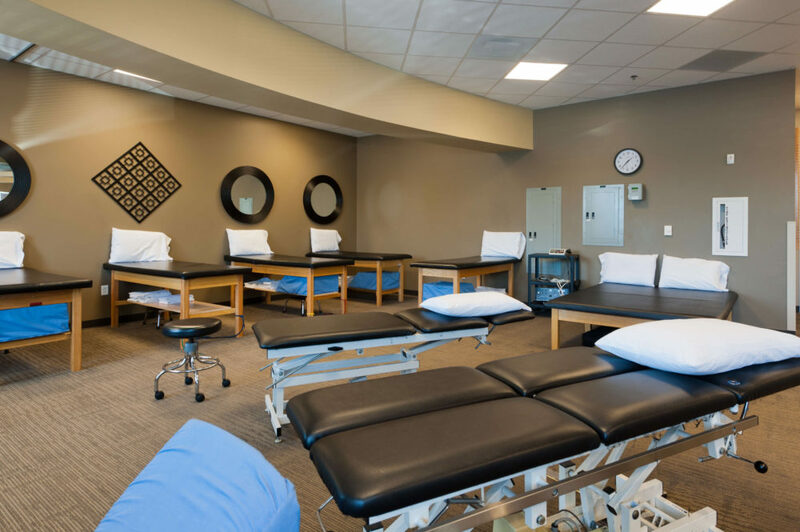 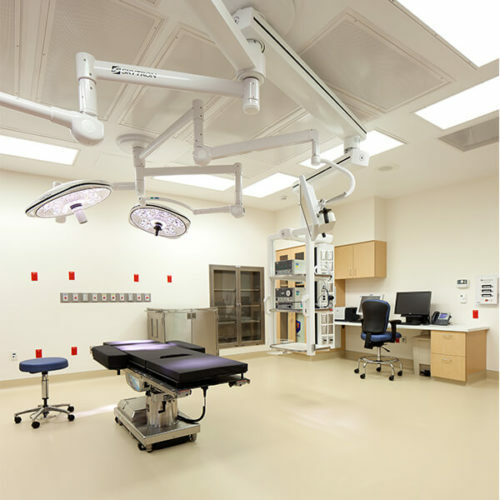 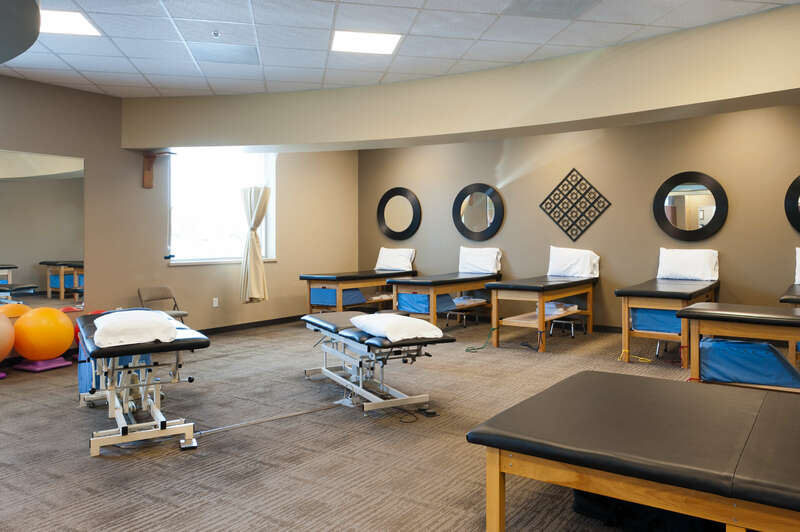 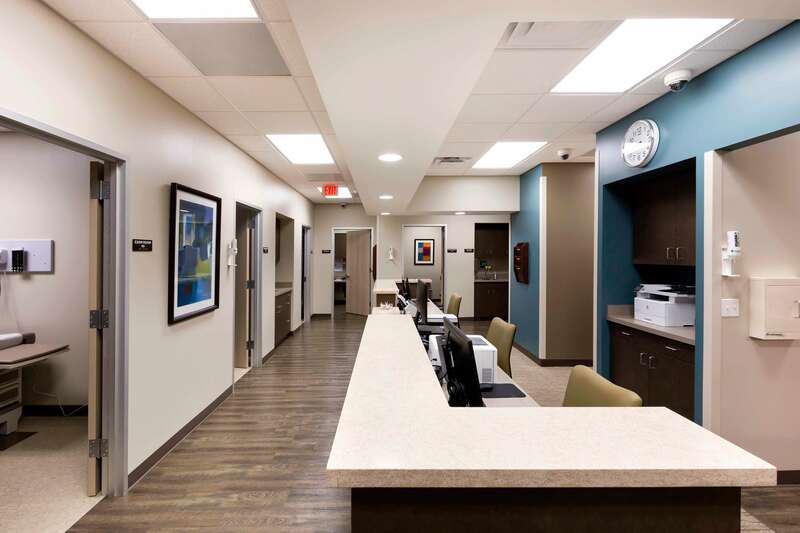 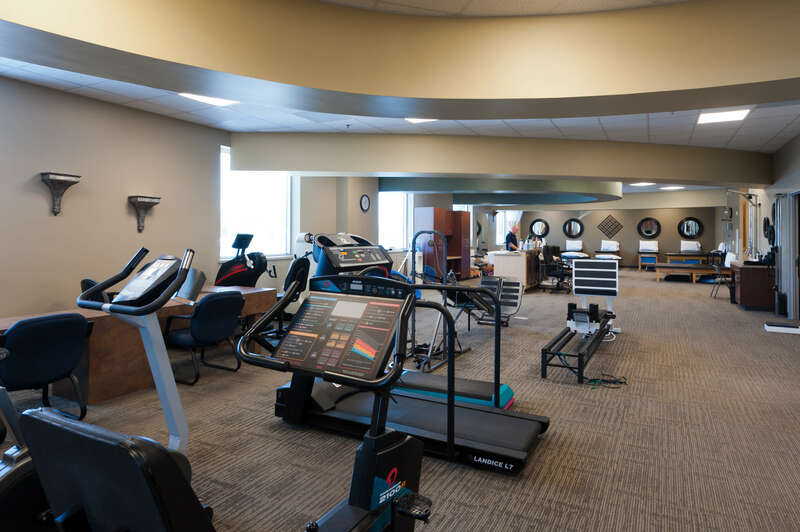 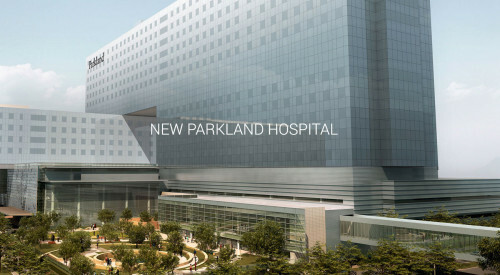 The facility includes medical office space for a cardiologist, an orthopedic practice, general practice internists, a sleep lab and a physical therapy office. 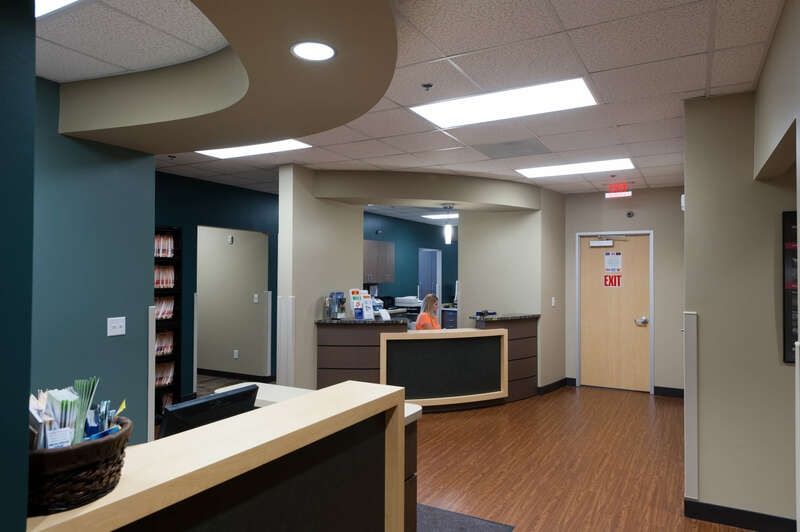 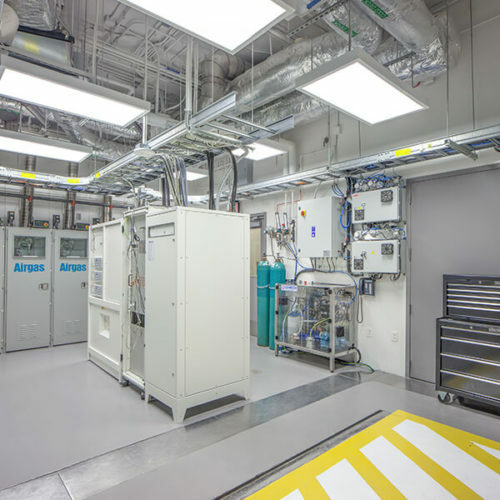 Shared service spaces include a conference center on the first floor, a small, convenient lab and space for a retail pharmacy. 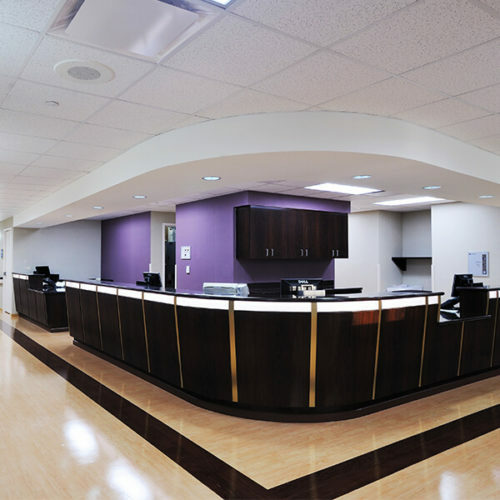 The client requested a contemporary medical building design. 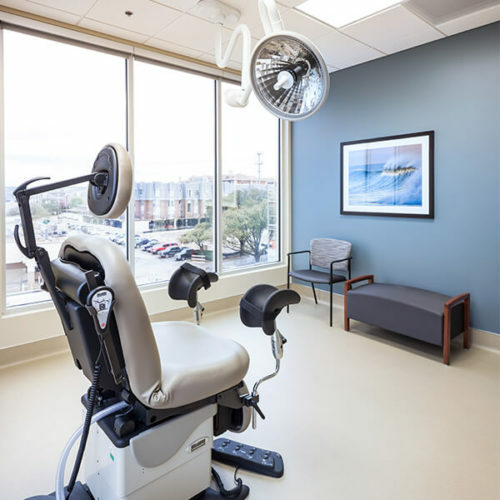 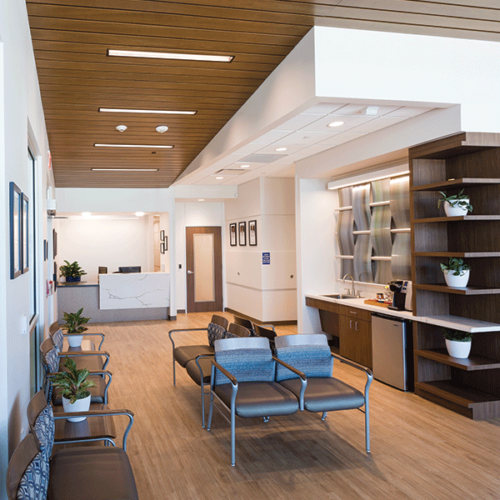 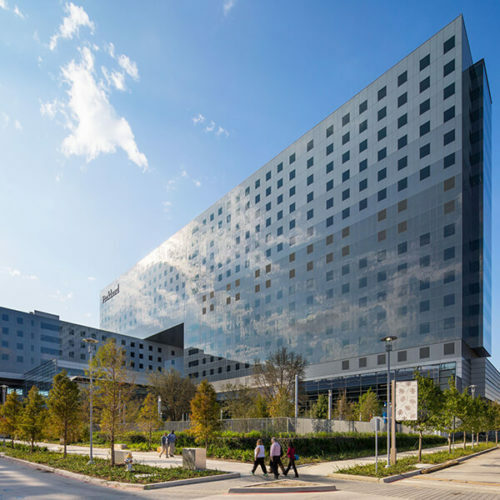 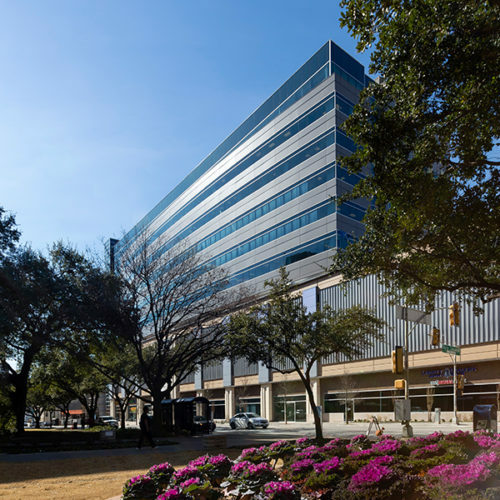 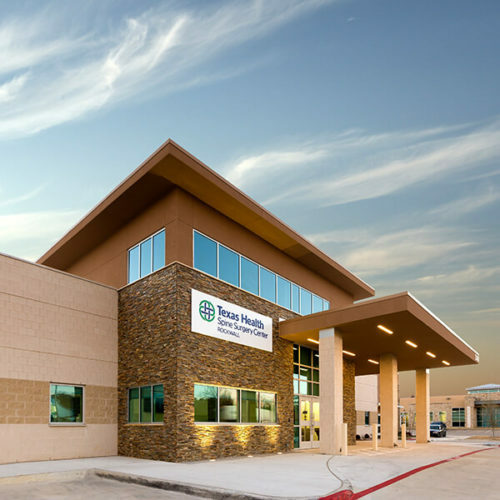 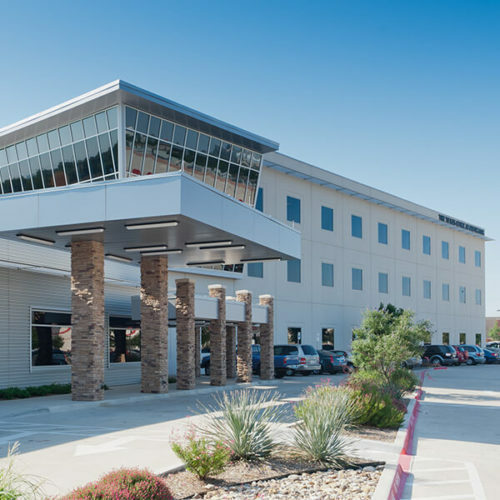 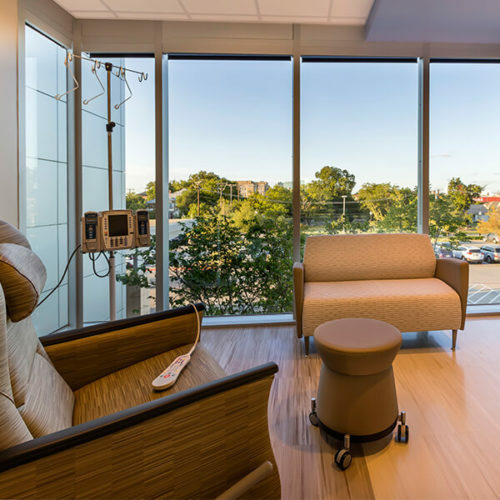 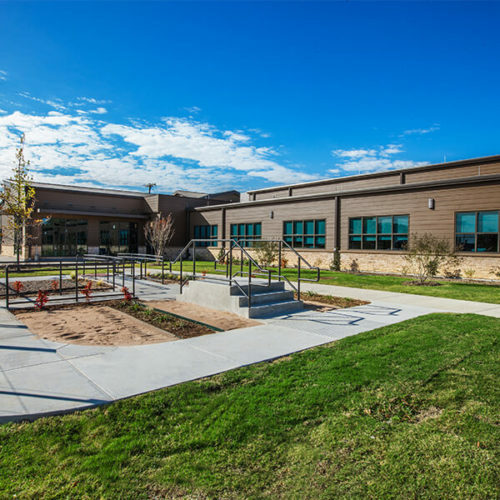 In response, the Texas Clinic at Arlington’s exterior featured a sharp, angular design and a mixed materials that differentiated the building from the surrounding residential and commercial properties.